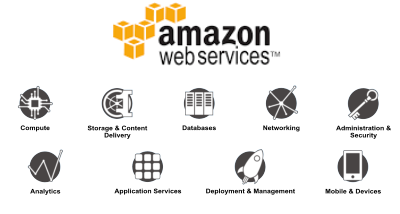 Amazon Web Services provides a complete set of Cloud Computing services that enable organizations to build scalable applications according to their needs. Specific services include: computing, networking, storage and content delivery, databases, deployment, management, application services, backup and disaster recovery. Amazon’s powerful global infrastructure enables you to completely outsource part or all of your hardware to the cloud and to run any application with no need of having data center in your company. Thanks to its scalability, Amazon Web Services can help you build the desired hardware environment to support your applications with ease. Pay-per-use plan is something you will appreciate in case of urgent need for a powerful computing machines that you don’t own on your premises. Miadria can help with AWS services in nearly every industry, including manufacturing, retail, healthcare, media, financial services, insurance, internet, real estate, education and the public sector – our customers include large and small businesses and individual developers.